I’ve been really obsessed with skirts lately. I’ve added quite a few of them to my wardrobe in the past month, and i’m really excited about it! I’ve always been a fan of dresses and how easy they can make choosing an outfit, but there’s just something about the versatility of skirts that I love. 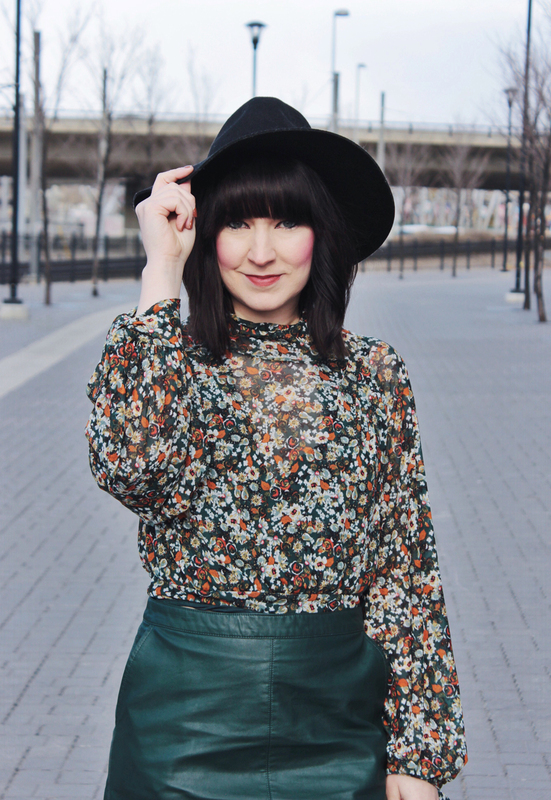 For this look I chose this faux leather skirt, the latest addition to my collection. 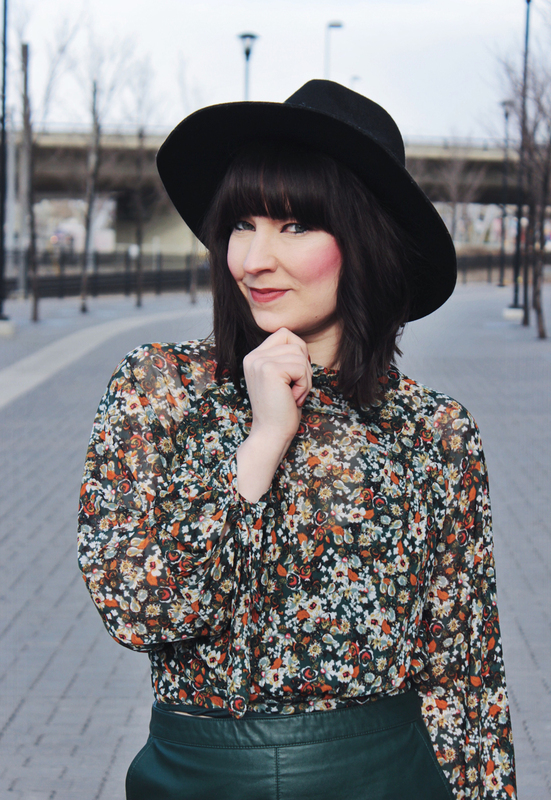 It’s gorgeous, and it pairs perfectly with this floral top from Free People. To accessorize, I added one of my current favourite wide brim hats, and these beautiful boots by Thursday Boot Co.